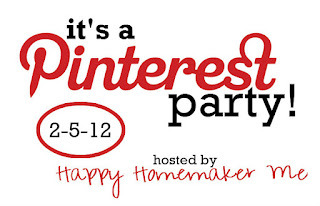 Happy Homemaker Me: It's Almost Time for the Pinterest Party! 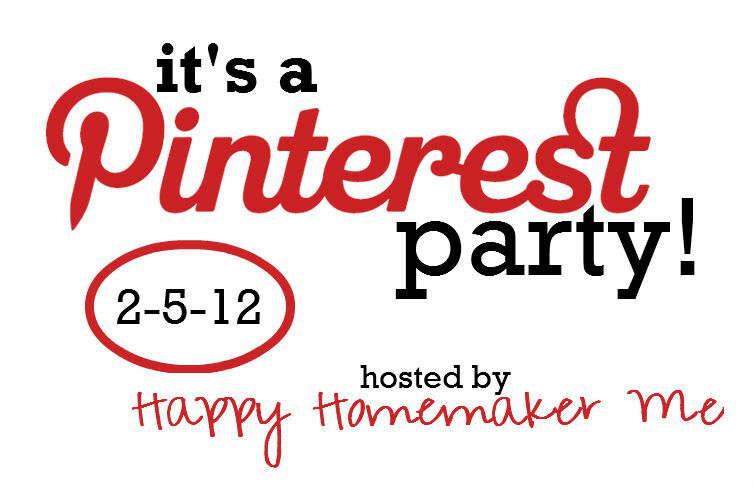 I'm so excited to host my first linky party. Are you ready to join me? Let's have some fun! ♥ Write a post about the pin you chose. ♥ Did it work like you were expecting it to? Were you pleased with the results? ♥ Did you make any changes to the project? What did you do to personalize it? ♥ Is this something you would recommend to a friend? Would you do it again? ♥ Also, please include this button at the bottom of your post so that others will know to hop on over to the Pinterest Party and join in on the fun. There is no required format for this post, just have fun with it! The linky will be open this evening (for all you football fans! 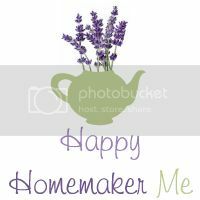 ), so if you've got a day full of the Superbowl tomorrow, you can come back to Happy Homemaker Me tonight and link your project in advance. Be sure to come back and visit other bloggers' wonderful pins! I've got to get back to my project so that I can finish it up and post about mine! 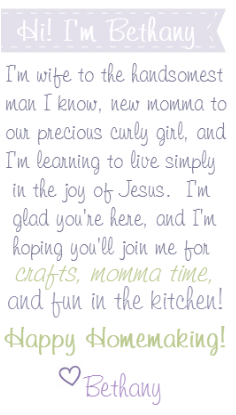 I'll see you this evening for the linky party!